The C.A 6681 LOCAT-N cable and metal-pipe detector is ideal for housing renovation, building maintenance and operations after incidents. Self-employed electricians or heating engineers, plumbers and telecommunication installation specialists will find the LOCAT-N ideal for all configurations, whether current-carrying or not. Comprising a transmitter and a receiver each equipped with a large LCD screen, the LOCAT-N ensures reliable detection and maximum immunity to disturbances. 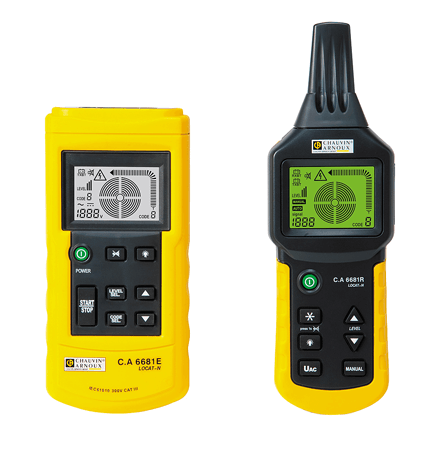 It provides digital, visual and audio indications of the presence of cables or pipes for intuitive tracking. Identify a fuse, circuit-breaker, etc. 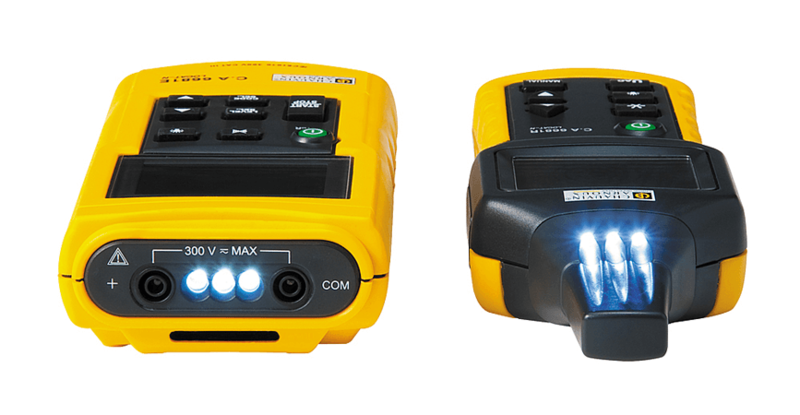 Dedicated accessories for measurements on lighting sockets or directly on 2P+E power sockets are also delivered as standard. This means the product is ready to use.